The brother of Hae Min Lee — a teenage murder victim who’s the subject of the wildly popular “Serial” podcast — has taken to Reddit to criticise the sensationalism of a real-life case. “Serial,” a new spinoff of NPR’s “This American Life” that tells one story throughout an entire season, has become the most popular podcast in America. 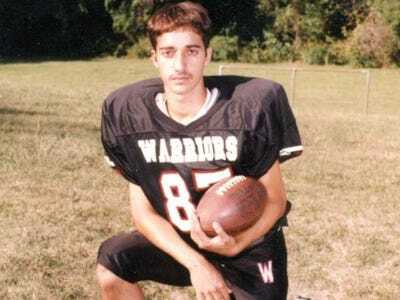 In the podcast’s debut season, journalist Sarah Koenig reexamines a Baltimore murder case from 1999 that landed Adnan Syed, Hae’s ex-boyfriend, in prison for her murder. The point of “Serial” is to delve into the inconsistencies of the case. Adnan has always proclaimed his innocence, and there are holes in the story of the witness who told the court he helped Adnan bury Hae’s body. So far this season, we’ve heard from jurors, friends of Adnan and Hae, and witnesses. But Hae’s family has been missing from the story. A Reddit user claiming to be Hae’s younger brother (he doesn’t name himself in his post) says Koenig tried to contact him for the podcast, but he ignored her. It doesn’t appear that his identity has been officially confirmed, but he posted a screenshot of a message Koenig sent him before the podcast aired asking if he would give an interview. That screenshot has since been taken down from Reddit because it contained Koenig’s personal information. TO ME ITS REAL LIFE. To you listeners, its another murder mystery, crime drama, another episode of CSI. You weren’t there to see your mum crying every night, having a heart att[a]ck when she got the new[s] that the body was found, and going to court almost everyday for a year seeing your mum weeping, crying and fainting. You don’t know what we went through. Especially to those who are demanding our family respon[d] and having a meetup… you guys are disgusting. Shame on you. I pray that you don’t have to go through what we went through and have your story blasted to 5 [million] listeners. He goes on to say that while he doesn’t like that “Serial” is covering his sister’s murder, he think that Koenig “is an awesome narrator/ writer/ investigator.” He still doesn’t plan on talking to her for the podcast, though. Koenig first got interested in the case when a family friend of Adnan’s who is also a lawyer contacted her and asked her to look into it. “On paper, the case was like a Shakespearan mash-up — young lovers from different worlds thwarting their families, secret assignations, jealousy, suspicion, and honour bismirched … and a final act of murderous revenge,” Koenig says in the first episode. Hae’s brother says he has listened to the podcast but has kept it a secret from others in his family. It’s unclear if Koenig was ever successful in reaching out to other members of Hae’s family. If the message from Koenig above is authentic, it looks like she finally made contact with Hae’s brother through Facebook after various email addresses, phone numbers, and addresses didn’t pan out. Hae was murdered in January 1999, and her body was found in a shallow grave in a Baltimore park about a month later. “Serial” has a big audience on Reddit, and Redditors have created an entire subreddit dedicated to discussing the podcast and the murder case.